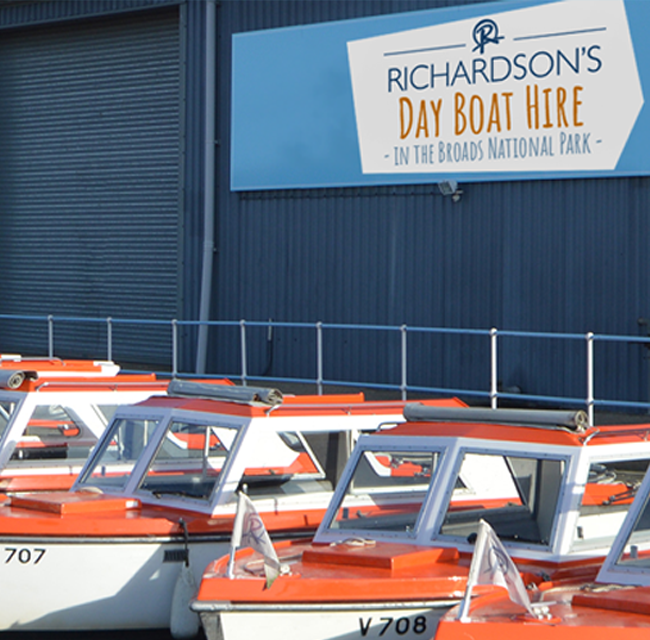 At Richardson's you can hire a range of electric or diesel day boats from our Richardson's Day Boat Hire marina (formerly Fineway) located in the "Capital of the Broads" Wroxham. 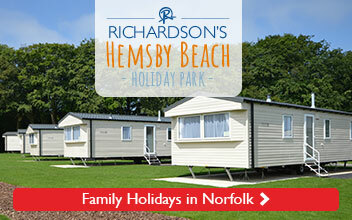 **Prices are all inclusive of car parking, fuel and insurance. 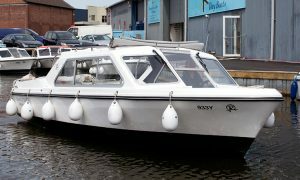 Fishing boat hire from £50 per day. Subject to availability. 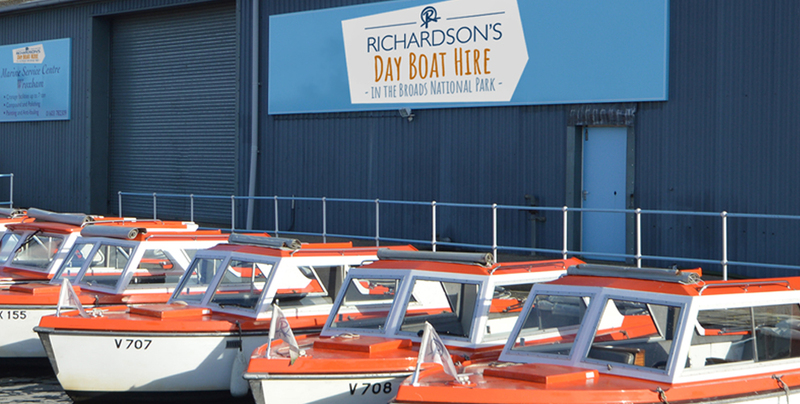 A day out aboard a Richardson’s day boat is a fun day out on the water for families, couples or responsible groups of friends. 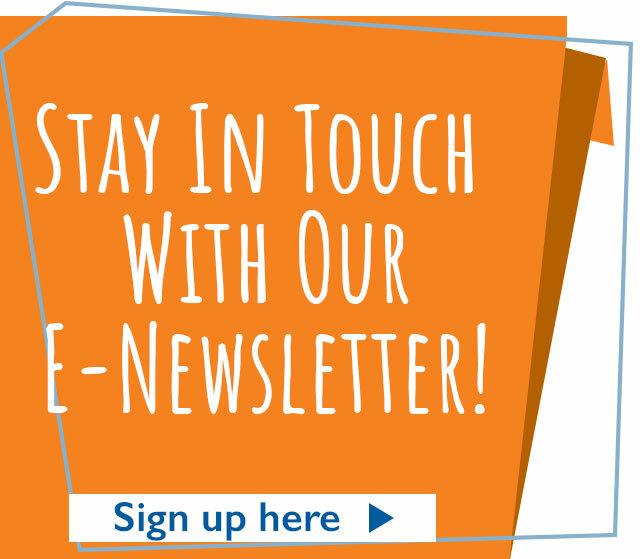 We are committed to ensuring the safety of our customers, our team and for other river users. 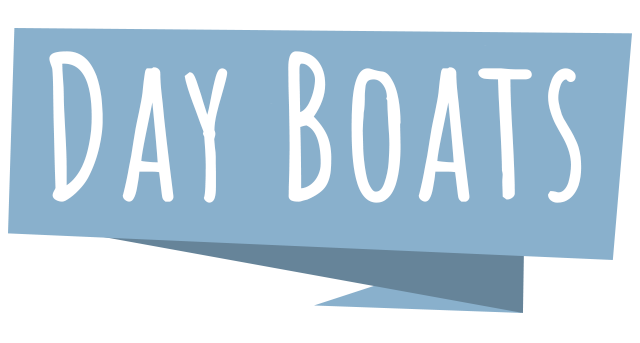 To ensure everyone has good time our team evaluate every hire party to make sure they are responsible and able to take the boat out safely. 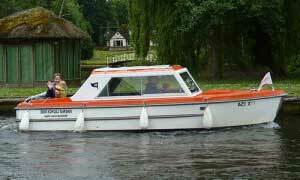 As such we may refuse hire at the point of handover if we believe it is not safe for a party to take a boat out. 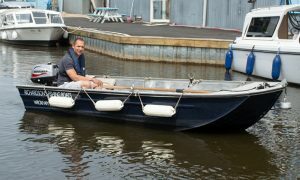 This may be for various reasons, such as showing irresponsible behaviour or those looking for a boozy day out on a boat. 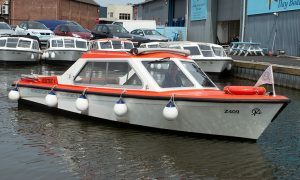 We will not allow the hire of a Richardson’s Day Boat for stag, hen or ‘boozy’ parties. *Selected craft only, subject to availability. 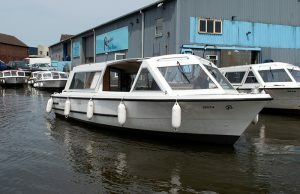 * Day cruiser hire full day hire is 9am-4pm. 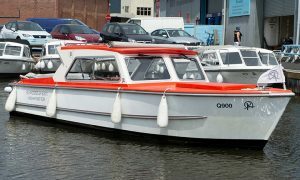 Half day hire is either 9am-1pm or 1pm-5pm. * Additional seating capacity indicated in brackets indicates additional seating suitable for small children. This seating is not suitable for adults.